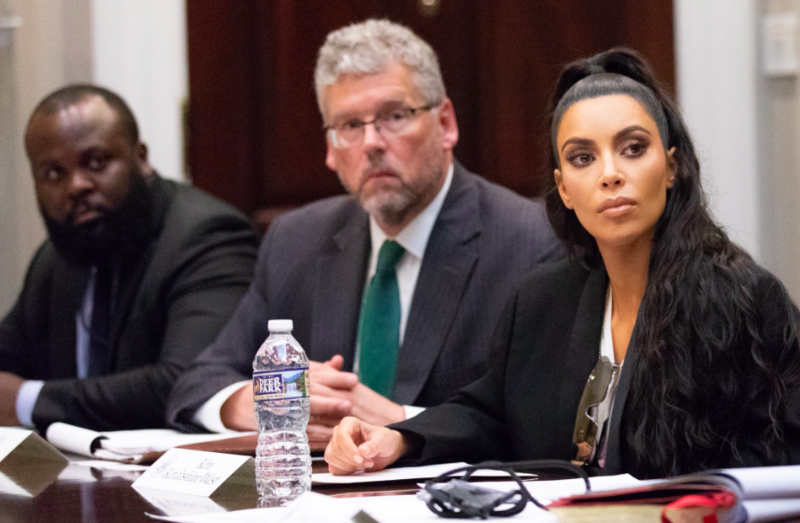 Kim Kardashian pulled up to the White House to discuss prison reform and also lobby for Donald Trump to free another person who has been sentenced to life in prison for drug-related charges. Speaking on Jason Flom’s “Wrongful Conviction” podcast, on Tuesday, the 37-year-old said she’s advocating for Chris Young who was sentenced to life without parole after being arrested for marijuana and cocaine possession. According to TMZ, Kim flew to DC in the middle of the night from Los Angeles for the face-to-face with hopes to have the same outcome as she did with Alice Johnson earlier this year.